Kim is a huge animal lover and proud owner of two labs. 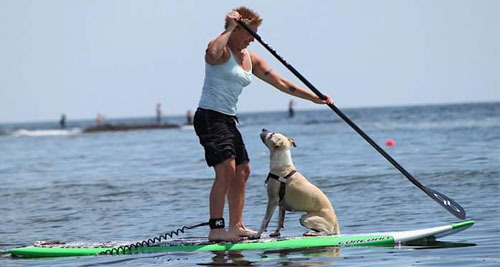 Kim is also an Internet marketer and works closely with The Beach Dog Daycare in Newburyport. 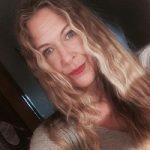 She enjoys writing and researching combined with blogging. She is an independent marketer and is self-employed but being an animal lover The Beach Dog Daycare is one of her favorite clients. Don’t put your furry family member in a boarding service while you travel. Bring your dog on vacation when you visit Newburyport and Plum Island Massachusetts. Our area is one of the best dog communities along the North Shore. 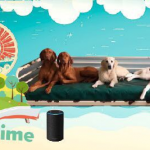 The Beach Dog Daycare has done all the work for you, book your hotel, make restaurant arrangements and jump right into some daytime activities that are all pooch friendly! We pride ourselves on being a dog-friendly community that incorporates your vacation experience along with your furry family members. Most importantly when you bring your dog on vacation to our area, The Beach Dog Daycare offers vacation hours so that you can enjoy a day at the beach while your dog enjoys a day socializing and stress-relieving playtime. Check out all that The Beach Dog has to offer on our Day at The Beach page. Before you head this way book your lodging accommodations. Both the Garrison and the Blue Inn make bringing your dog on vacation when you visit Newburyport and Plum Island Massachusetts fun and easy. The Garison Inn is located in Newburyport right in Market Square so you are in walking distance to many trendy spots that are all in walking distance. If you should chose to stay on Plum Island then The Blue Inn on The Beach is where you should book a room with amazing views and dog-friendly accommodations. The next important aspect of any vacation is eating! Newburyport and Plum Island have some of the best eateries on the planet…well in the North Shore area anyway. When you bring your dog on vacation our community encourages Rover to come along and enjoy the eats too. For a full menu of amazing options try Oregano Pizzeria & Ristorante located at 16 Pleasant Street, Newburyport MA. This restaurant has an outdoor side patio perfect for bringing dogs. If you just want to grab something café style than Plum Island Roasters offers specialty coffees from around the world and your dog is allowed inside and outside seating…as long as they remain on a leash and are socially behaved. Ok, so you have your lodgings and some hot spots to eat when you Bring your dog on vacation when you visit Newburyport and Plum Island Massachusetts, so I just wanted to add a few must see hot spots just for Rover. Lets start with Just Dogs. This is an amazing little doggy bakery that hand makes all sorts of snacks that cater to all sorts of doggy needs. 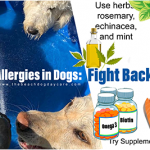 If your dog has food allergies Just Dogs has a snack for that, if your dog is a vegetarian, they have a snack just for that…you have to take a trip to see what Just Dogs has to offer. Just Dogs is located at 37 Pleasant Street in Newburyport .We are adding The Natural Dog to our list because they are an amazing pet supply company in our area and they offer eco-friendly products and all natural foods. Most of our local dog owners shop here, so if you find yourself low on supplies while Bringing your dog on vacation pop in at the Natural Dog to restock or take a visit just to browse. The Natural Dog is located at 155 State Street in Newburyport. Now its time to get into some fun daytime activities when you bring your dog on vacation to Newburyport and Plum Island Massachusetts. Your first stop should be Mill Pond in West Newbury. This is a pond activity with lots of other dogs swimming and running off leash. If your dog is well behaved in social environments Mill Pond is highly recommended. Their Facebook page showcases the park the best so be sure to check it out. Next at the top of the list is Maudslay State Park. This is an old horticultural and agricultural estate. There are many gardens and roaming around with your dog is allowed on leash and they even provide doggy bags and a trashcan in the parking lot for any deposits Rover may leave behind during your visit. If you’re up for a more vigorous hiking experience check out Old Town Hill in Newbury. This attraction has many hiking trails that highlight the naturally made environment such as salt marshes, wetlands and cliffs with amazing views. This park is absolutely a place to take pictures so don’t forget your camera, again Rover must be on a leash and please pick up and discard anything your dog deposits. Unfortunately not all pet owners are aware of the on-leash policy but we ask that you stick to the rules and keep this in mind when planning your day trip to Old Town. 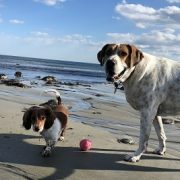 We hope you chose to bring your dog on vacation when you visit Newburyport and Plum Island Massachusetts. 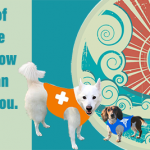 Contact The Beach Dog or visit our website to pre-enroll for some daycare hours. 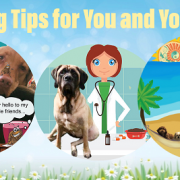 While Bring your dog on vacation with you is highly recommended, having some activities without your dog is inevitable but it doesn’t have to mean leaving your dog alone in a hotel all day. We will happily cater to your dog while you enjoy your vacation as well.